Transformers are used for the transformation of high and medium voltage to low voltage, flanked by specific protective devices and control systems, which constitute the low voltage distribution substations. A distribution substation, is characterized by the apparent power of the transformer and whether it is aerial, terrestrial or underground. The indoor substations (terrestrial or underground), are manufactured in specific areas to ensure waterproofing and adequate ventilation. Among the equipment of high and low voltage, special protective grids (cells) shall be inserted and the transformer is protected by a special cover. 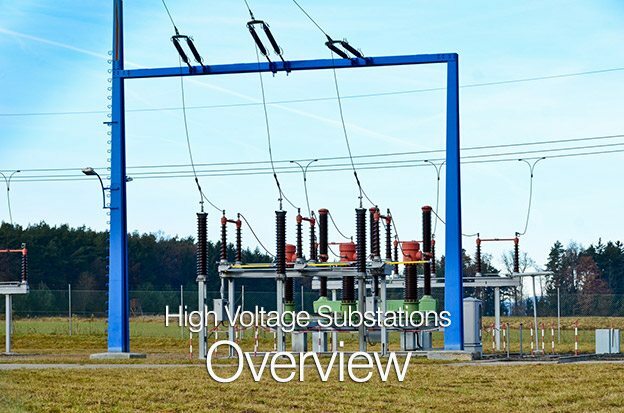 A distribution substation, usually includes: disconnect switches, circuit breakers, lightning arresters, provisions limiting the short circuit current, monitoring, measuring and recording instruments (power, current and potential transformers), SCADA etc. A Very nice and useful portal, thank you very much. which is used in grid station……..???? ON LOAD means raise/lower transformer output voltage at a substation without switching off(ON-LOAD) the feeder. OFF-LOAD means raise/lower transformer output voltage at a substation after switching off(OFF-LOAD) the feeder. The second one is safe. So it is recommended my the transformer manufacturers. i have one question………please answer this…..
Why potential transformers are installed before current transformer in a structure of switching yard?